'Biosystem II', by Méadhbh O'Connor, 2014. Sculptural installation with living orbs. Orbs range within 10 – 22 " diameter. Total installation: within 21 x 28 x 8 ft. Photo: David Orr. 'Biosystem II', by Méadhbh O'Connor, 2014. 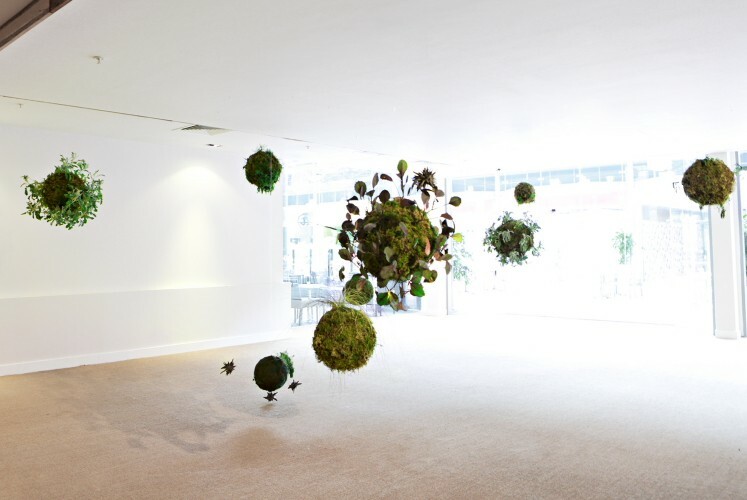 Sculptural installation with living orbs. Orbs range within 10 – 22 " diameter. 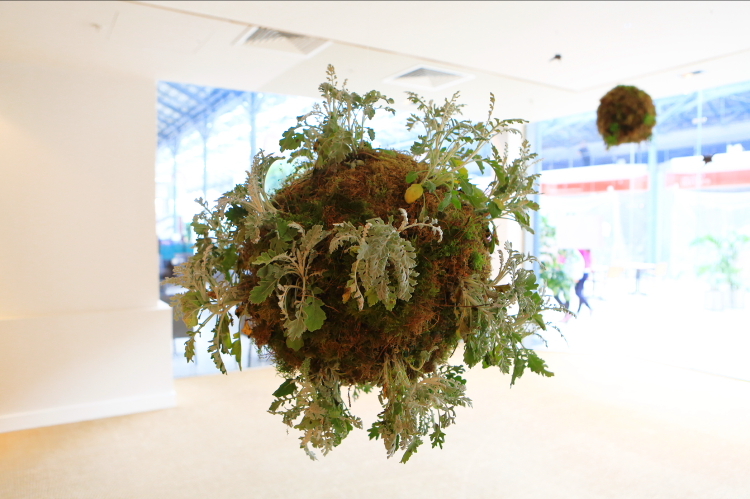 Total installation: within 21 x 28 x 8 ft.
'Biosystem II', by Méadhbh O'Connor, 2014. Detail. With moss and grass. Photo: David Orr. 'Biosystem II', by Méadhbh O'Connor, 2014. 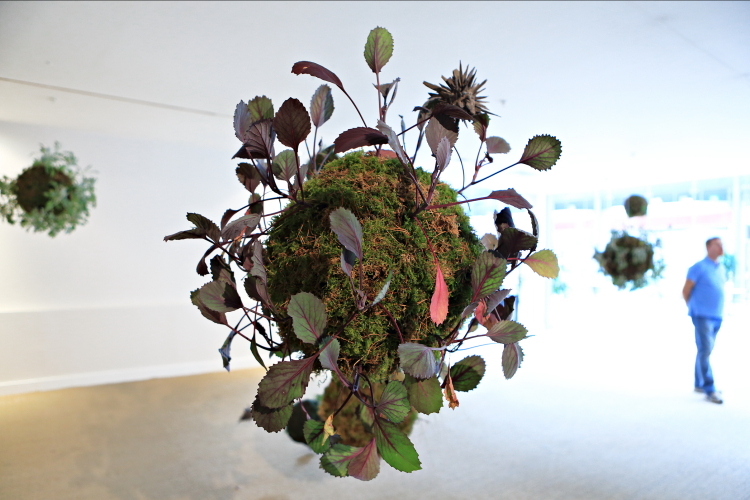 Detail, dusty millar and sphagnum moss. Photo: David Orr. 'Biosystem II', by Méadhbh O'Connor, 2014. 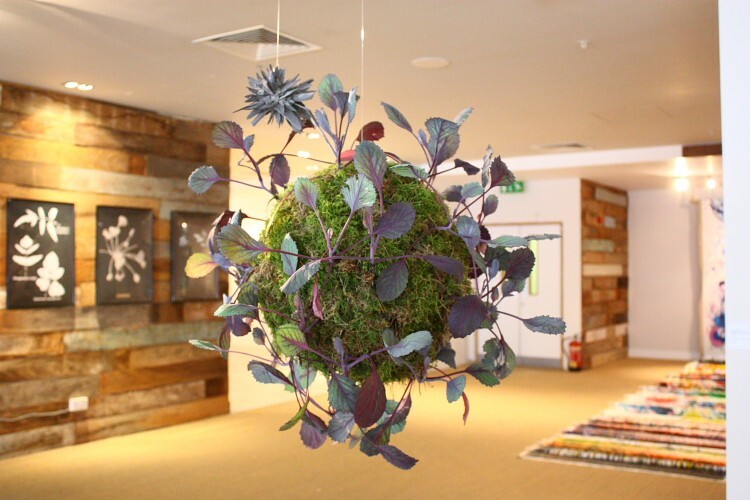 Detail, with moss and living cabbage. Photo: David Orr. 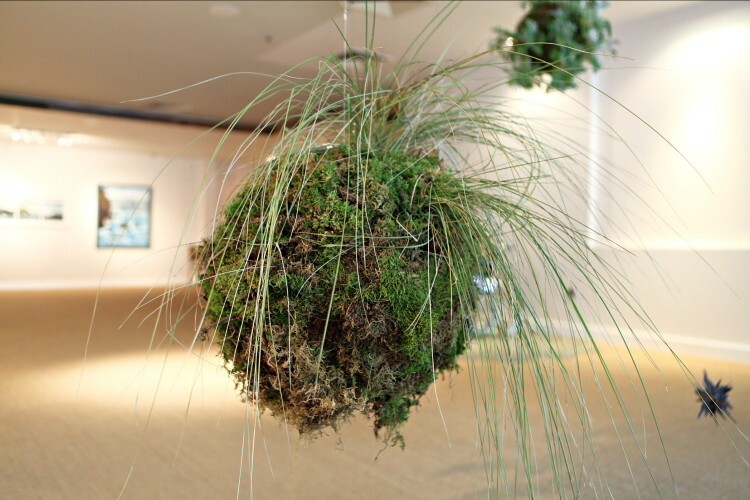 Biosystem II, a sculptural installation by Méadhbh O’Connor. Commissioned by the Dublin Biennial 2014 (DB14). 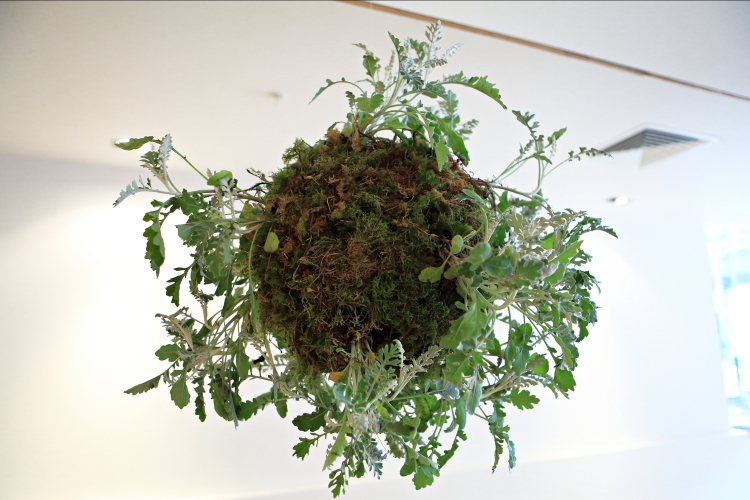 Living orbs ranging from 12 – 22″ diameter and suspended within a space measuring 28 x 21 x 8ft (L x W x H).